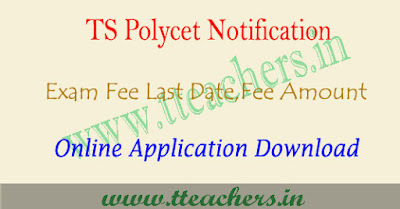 TS Polycet 2019 application form, Telangana polytechnic apply online : TS Polycet 2019 application form has been released in the month of March 2019. State Board of Technical Education and Training simply it says SBTET, Hyderabad conducts polycet entrance test for admission to diploma courses in polytechnics colleges. 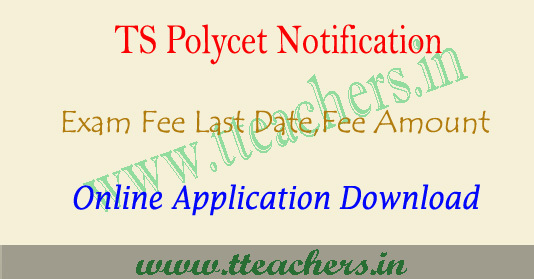 Candidates seeking admission in engineering or non-engineering diploma courses may apply to this polycet 2019.Here we have to given more information about TS Polycet application form 2019 through this article. Candidates who want to apply to TS Polycet 2019 can fill the ts polycet application form 2019 from March 2019. The application form available till April 2019 (upto 5:00 PM). Students can fill the application form through official website. Candidates can also visit the nearest centres for filling the online application form. Candidates can visit the nearest helpline centre along with application fee. How to apply : For convenience of the candidate ONLINE filling of application for POLYCET-2019 is facilitated by the State Board of Technical Education and Training, TS. Hyderabad. Student can approach any of the nearest Ap-Online/payment gateway/net banking/Help line centers (Polytechnics). Purchase a Telangana POLYCET 2019 application booklet with Application form from any nearest helpline centers (Helpline centers has given in Booklet) by paying Rs. 20/-only. Candidates are advised to fill application before submit to the computer operator. The filled in Application form with photograph affixed (Do not staple and do not sign on the photo) and duly signed by Parent/Guardian should be submitted to the computer operator at the nearest TSonline/payment gateway/Net Banking/Help line center with a cash payment of Rs. 350/- For SC/ST Candidates Rs. 200/-.